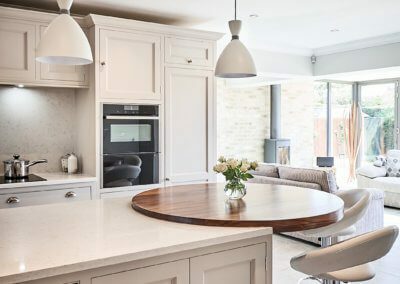 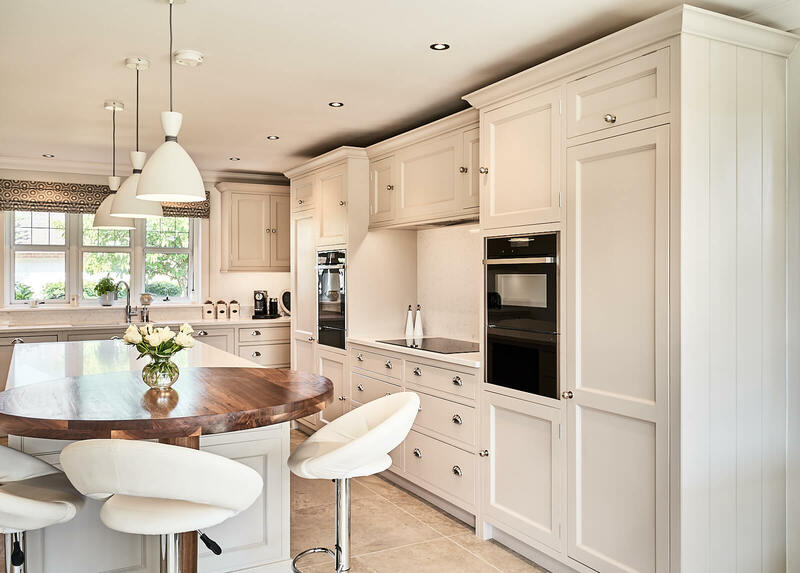 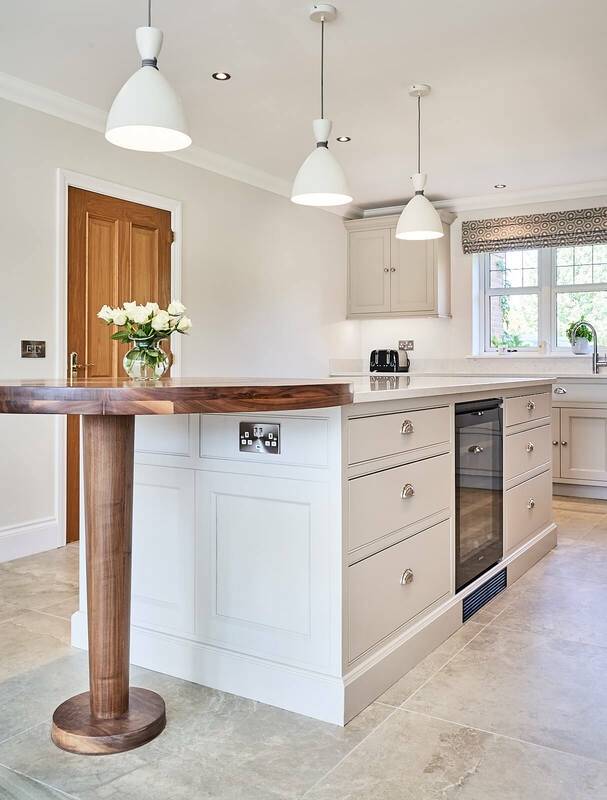 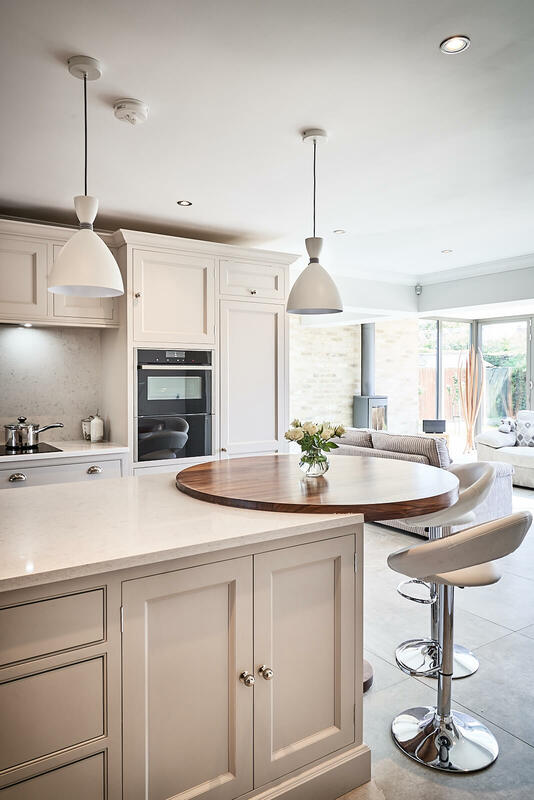 Light, bright and open-plan; this hand-crafted kitchen manages to beautifully balance the cool, clean lines of contemporary chic with an undertone of warmth that permeates the whole room. 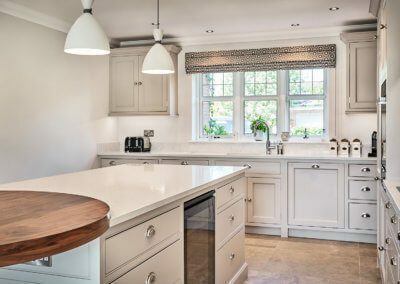 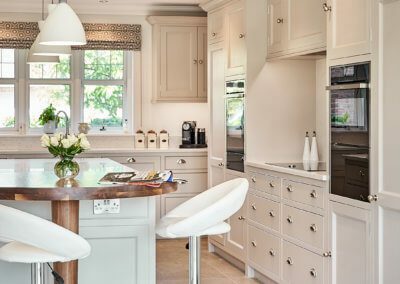 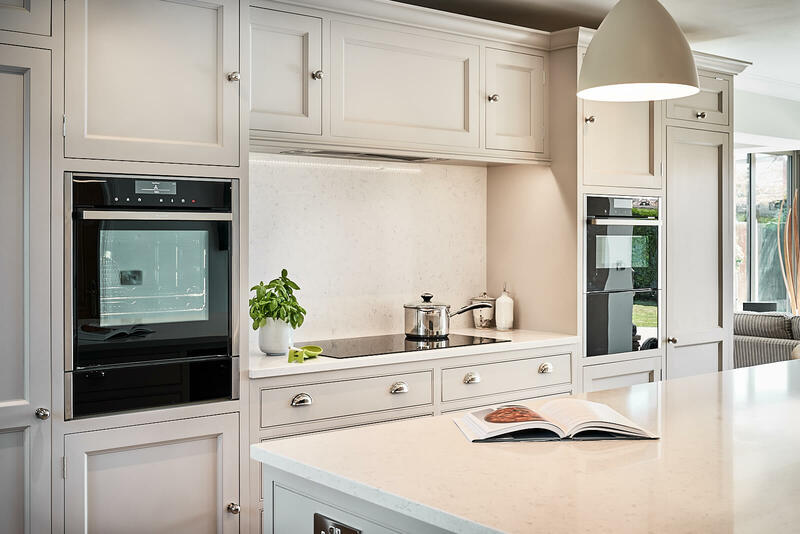 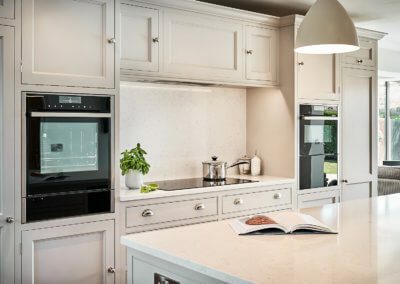 Built with symmetry in mind, we created an open, accessible workspace that maximises the natural light of the L-shaped floorplan with brilliant Quartz worktops and oak-veneered units with tulip wood fronts, hand-painted in Farrow & Ball’s ‘Elephant’s Breath’. 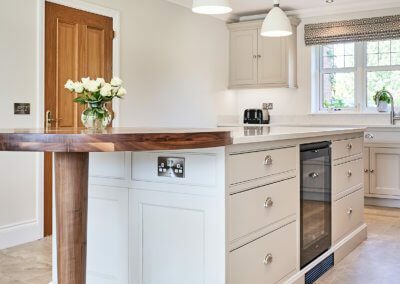 The room’s star attraction: an American black walnut table integrated into the island is slightly elevated to give depth and distinction. 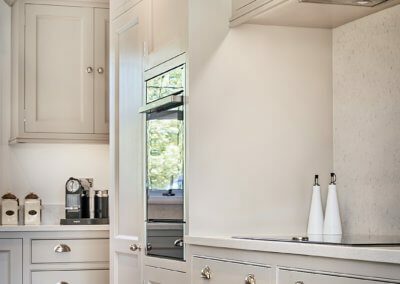 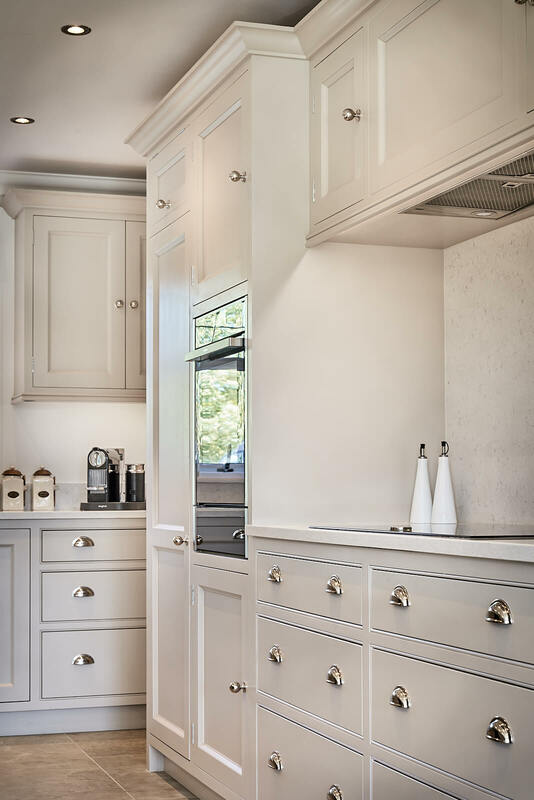 With custom single-panel doors, simple moulding and recessed plinths, we added Armac Martin polished nickel knobs and cup handles for a sophisticated silver finish. 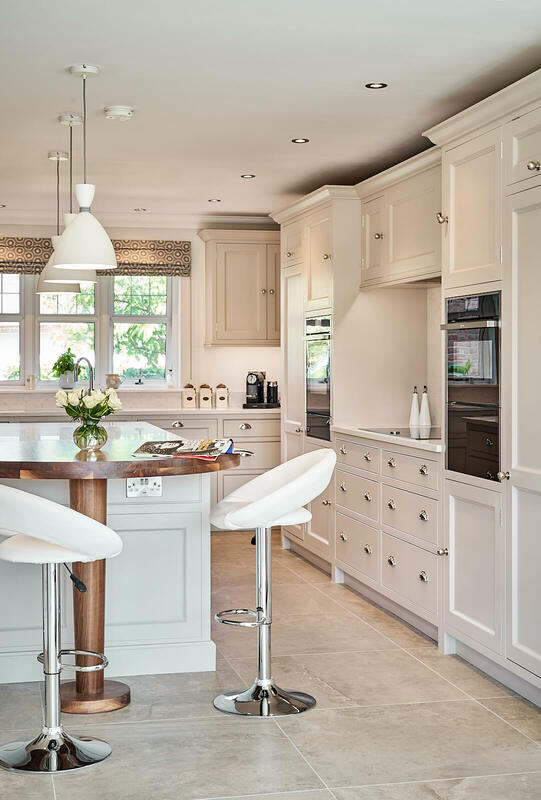 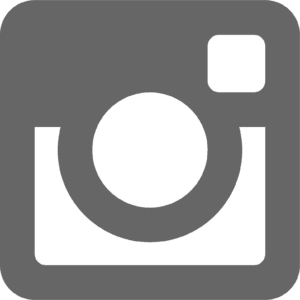 Stylish symmetry, counterbalanced with calming colour.